Hawaii fare wars may be returning again this Thanksgiving week. 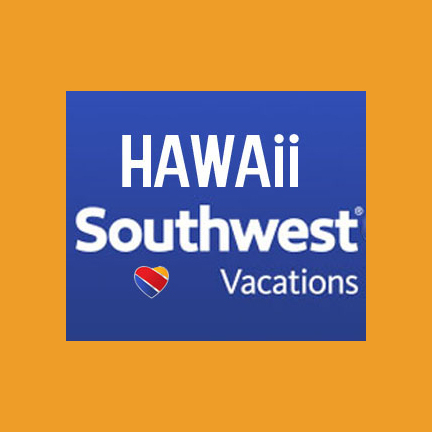 Hawii Deals are starting early with 14 routes that are under $350 round-trip. 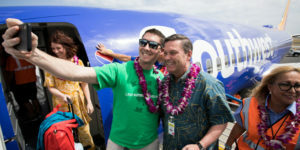 So don’t miss out on these unpublished deals on airfare to Hawaii. Travel from now to March, depending on route. Travel and purchase dates: Purchase as soon as possible, today, 11/19/18. Even better is to buy within the next hour or two as these could end at any time. See specific travel dates below, which vary by route. 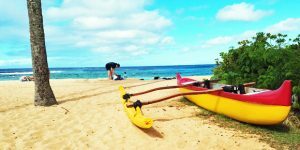 Travel can start either on the mainland or in Hawaii. Fares and Availability: Prices are each way, include all taxes and fees. These are the lowest fares offered and are not available on all or even most dates/flights. Availability is very limited for mid-week travel. Must use airlines’ fare calendars to find seats, availability and best pricing. Travel over holiday periods is not included. Prices are available online only. You cannot call the airlines to obtain these fares. Some of the cheapest fares are for mid-December dates. 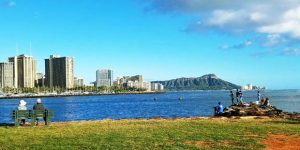 Oakland to Kona $142-$152 each way on Alaska Airlines and Hawaiian Airlines. Travel December to February (limited). Oakland to Kauai $168 on each way on Alaska Airlines. Travel December to March. San Jose to Kauai $168 on each way on Alaska Airlines. Travel December to March. San Jose to Kona $168 on each way on Alaska Airlines. Travel December to February. San Francisco to Kona $169 each way on Alaska Airlines. Travel December to March. San Francisco to Maui $169 each way on Alaska Airlines. Travel December to March. Los Angeles to Hilo $144 each way on United Airlines. Travel January to February. 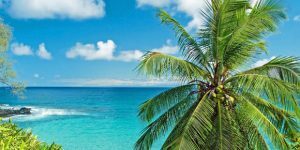 Los Angeles to Kona $144 each way on Alaska Airlines, American Airlines, Delta Airlines and Hawaiian Airlines. Travel January to February. San Diego to Kauai $169 each way on Alaska Airlines. Travel November to March. San Diego to Maui $166-$168 each way on Alaska Airlines and Hawaiian Airlines. Travel November to February. Portland to Kauai $165 each way on Alaska Airlines. Travel December to February. Portland to Kona $172 each way on Hawaiian Airlines. Travel in January. Bellingham to Maui $178 each way on Alaska Airlines. Travel January to March. Seattle to Kauai $181 each way on Alaska Airlines. Travel November to March. I have 17 people traveling from Des Moines ro Honolulu June 28 returning July 6th. They are booked on an NCL cruise 6/2919-7/6/19. Can you please let me know what if any deals are available for those dates? We can book from hubs if there are deals available and then book feeder space in from DSM. Thank you so much in advance for your help! For 10 or more traveling together, you should be able to use the group desk at all the airlines to get a discounted price. NCL might also be able to do something like that for you. Otherwise, fares in that market are running $1,300+ RT.